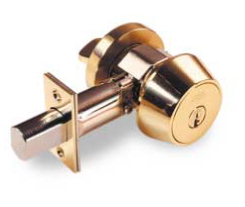 Considered the first choice for a wide variety of security applications, ASSA, Inc. High Security Locks has manufactured premier locks for industry, military, and institutions worldwide. Our patented key and cylinder design provides a level of key control second to none in the industry; eliminating the possibility for unauthorized key duplication and compromise of end users’ security solutions. Our factory trained and licensed locksmiths are experts in ASSA installations. The ASSA 6000 Series deadbolt is designed to withstand any form of physical attack including drilling, prying, driving, or pulling. Its free spinning guard collars protect it from pipe wrenching while its hardened inserts guard against drilling. The 6000 comes equipped with the ASSA Hardhat to protect it from outside through-the-door attacks known as “ice picking.” Removable core is an option with the ASSA 6000 deadbolt and the product is available in BHMA hardware finishes 625, 626, 605, 606, 612, 624, and 609. ASSA provides a full line of mortise cylinders designed to retrofit into most leading lock manufacturers’ locksets and exit devices including Sargent, Arrow, Schlage, Yale, Corbin-Russwin, Best, and Von Duprin. Mortise cylinders are offered in lengths ranging from 1-1/8″ to 2″ (for special sizes, please inquire) and BHMA finishes 625, 626, 605, 606, 612, and 624. 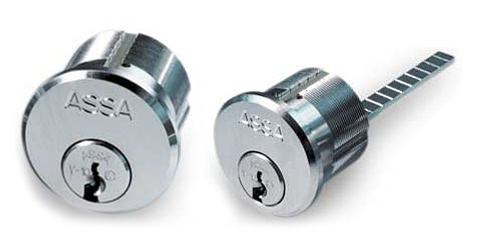 ASSA mortise and rim cylinders are available in removable core for quick and easy rekeying capabilities. 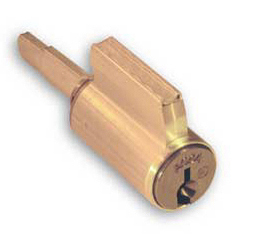 ASSA’s key-in-knob and key-in-lever type cylinders provide the ultimate in high security retrofit for a variety of leading lockset manufacturers including Sargent, Arrow, Corbin-Russwin, Yale, Schlage, and Weiser. All cylinders are available in BHMA hardware finishes 625, 626 605, 606, 612, and 624. For more information on the Assa product line, click HERE to download their catalog.